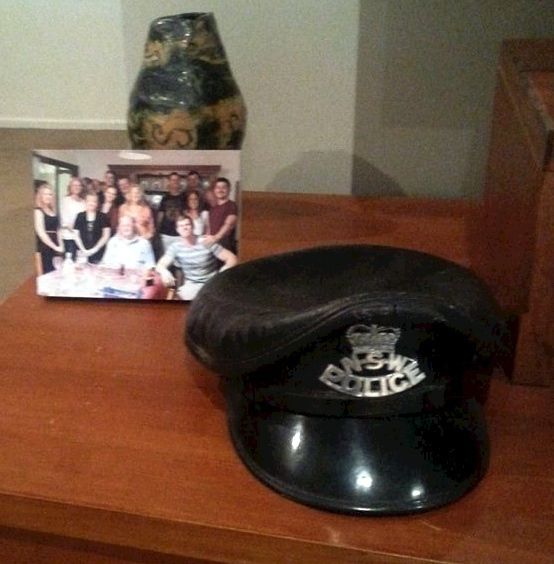 His leather cap sits in pride of place in our lounge room. He loved bikes and even a year before he died about age 77, with replacement hips, knees and a shoulder he managed to throw his leg over onto my bike and sat there with a smile on his face for a while. My Dad, Retired Sen Sgt Harry Morfoot. This pic is of him in 1960 when he rode the Triumph Tiger Sidecar outfits in Blacktown’s Patrol. FURTHER INFORMATION ABOUT THIS MAN, HIS SERVICE, LIFE AND DEATH ARE WELCOME. 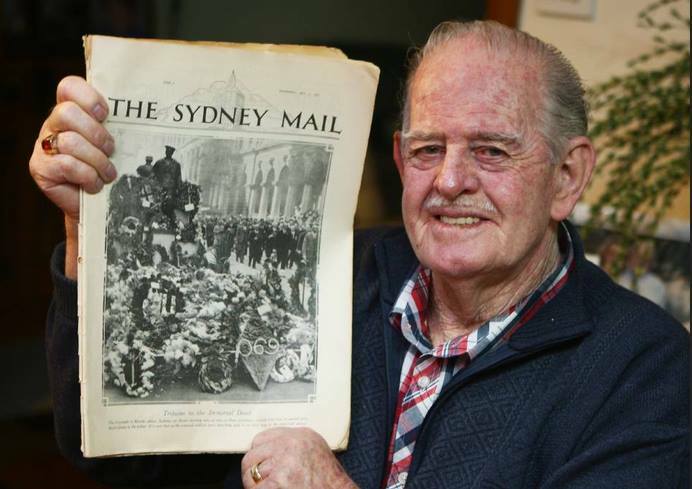 Harry Morfoot, past President of the Penrith City Nashos National Servicemen’s Association. 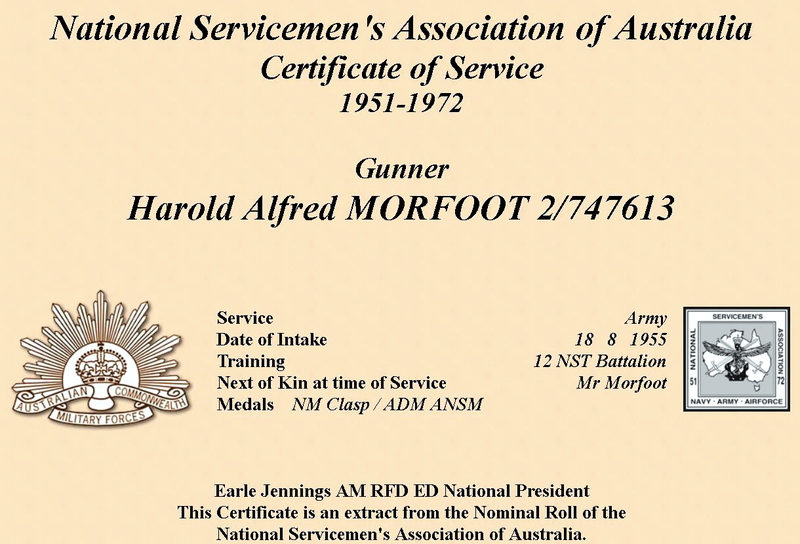 Harry, a National Service veteran was 78. Harry had been President of the Penrith City Nashos for more than a decade, when he resigned earlier this year due to poor health. He will always be remembered for his role in developing the Nashos in the Penrith area. In 2002 Harry and Tom Kelly were members of the Blue Mountains Nasho Sub-Branch, when they thought it was time to form a branch in Penrith. From humble beginnings, the Penrith City Nashos today has around 150 members. Harry was a tireless worker for charity and through the Nashos he was one of the figures who spearheaded fundraising drives for bodies including the Cancer Council, Salvation Army, the burns and cancer units at Concord Hospital, St John Ambulance, Defence Care and Legacy. My sympathies go to Harry’s wife Dorothy, children and grandchildren. Your cigarette holder has been remembered and the fact that you also stood up for your Constables within the NSW Police Force. I would like to say this to you all as a retired NSW Police Officer and Wall to Wall Rider since 2012. Like all of us, I participate in the Wall to Wall to honour fallen mates, raise much needed funds for Police Legacy and enjoy the comradery that this important event brings. Since late last year I have have been experiencing the vital work Police Legacy do first hand after the death of my father. 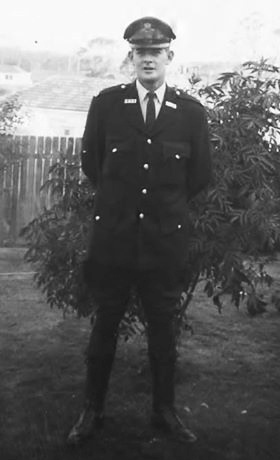 I was a second generation Police Officer, my dear Dad, Retired Snr Sgt Harold Morfoot (Harry or ‘H’ as he was known to his mates) passed away at home late last year at the age of 78. Dad was in the job for 30 years working the City and Western Suburbs. 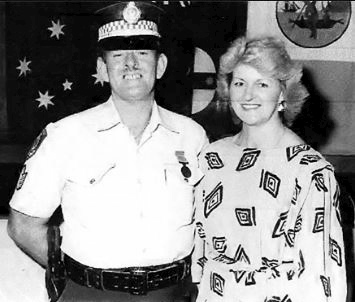 He was also Branch Secretary of the NSW Police Association for many years and strong advocate for Police Legacy, as he, like a lot of us also lost mates in the job. Dad also loved motorcycles and did a tenure in Traffic with the Triumph Tiger Sidecar Outfits in the 1960’s. Dad was more than a great father, he was a close mate to me and I miss him more than I can ever explain. As you can imagine, my mother Dorothy, his wife of 60 years was devastated by his passing and has had difficulty adjusting to life without him and we had been extremely concerned for her. 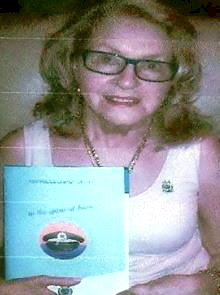 Recently a NSW Police Legacy Package was delivered to Mum. Included in the package was a Welcome letter, booklet on grief management, registration forms for her and the Police Legacy Pin. She has worn her Police Legacy Pin each day since receiving it. Mum was overwhelmed at the offers of assistance that this package has given her, and as a Coppers wife of many years she feels privileged to be as part of the Police Family and looks forward to her association with Legacy. She said wearing the Pin helps manage her grief as she knows Dad’s service was valued. 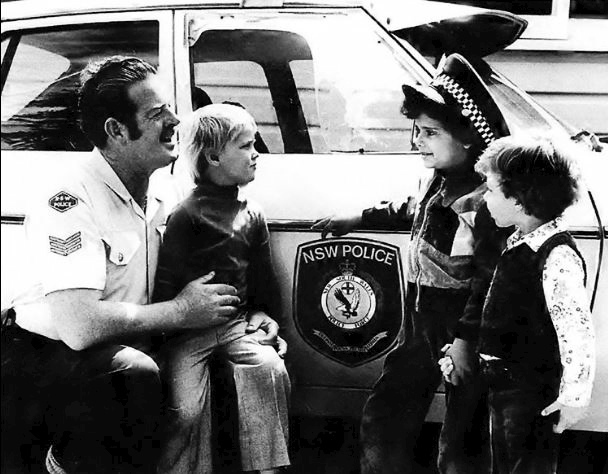 I have already sent a personal thank you letter to NSW Police Legacy but I wanted to thank the W2W Committee and each and every W2W rider as I can see the help that this package has given to Mum, a dedicated Police Officer’s wife and loving Mum who supported Dad through his 30 years in the job. In particular I would like to thank Miss Karen Murphy, Police Legacy Network Co-ordinator who forwarded the package to Mum, Sen Sgt Paul Bousefield, President and Inspector Ian Colless, Treasurer, both old workmates I have the pleasure of saying and who are instrumental in the organising of the ride as well as their Legacy and Policing Duties. I have always known that Police Legacy performs a very important role and have been impressed no end seeing it first-hand. Thank you again on behalf of my family. I’m so proud of my Dad Harry and we all miss him terribly. He inspired us to help one another and to remember the values of life. Our mother was the love of his life and the tributes and messages flowers and phonecalls are just beautiful.